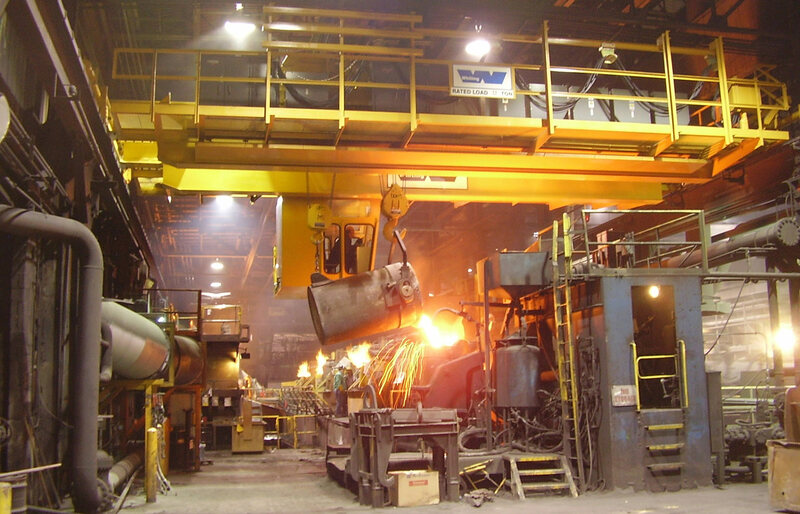 Whiting Corporation is one of only a few crane manufacturers that can produce and service CMAA Class E & F and AIST Spec 6 cranes for North American steel mills. With a distinguished history of producing these heavy-duty cranes for steel mill use, Whiting will build a robust crane that is proven to withstand the harsh conditions and meet the high demands of the modern steel mill. Whiting uses the latest manufacturing and engineering technology to produce its cranes. Coupled with our extensive application experience, our custom cranes service the needs of every aspect of the metal producing and processing industries. We increase your return on investment by designing and building our cranes to the highest quality standards maximizing uptime for critical process applications. Proven in thousands of hours of operation in foundries and mills throughout the world, Whiting E-Z POUR” LADLE GEARING offers an efficient, economical means of pouring for ladles 20½” to 100” top diameter available for motorized as well as manual operation. In considering design requirements, OSHA, ANSI/ASME, AIST, CMAA and AFS, all have recommnedations and requirements for handling molten metal.